Looking for polished concrete floors? 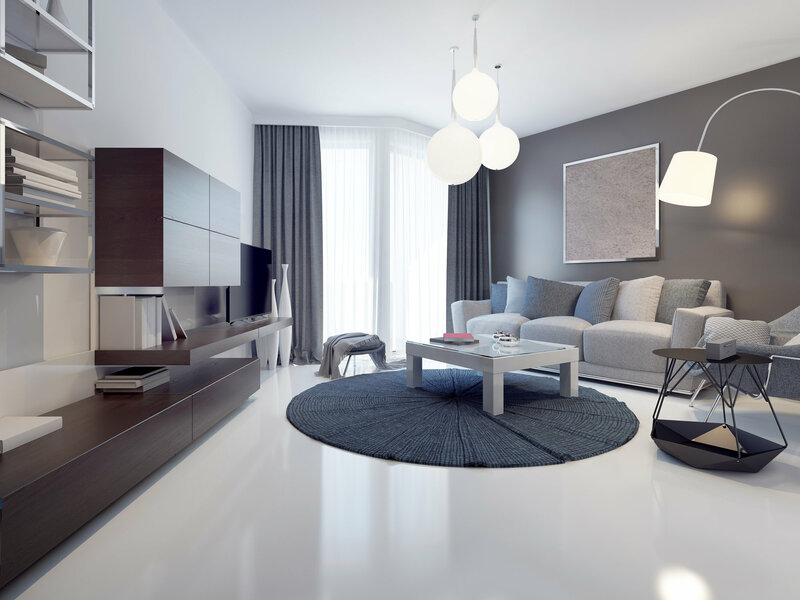 We offer the very best in polished concrete floors and concrete polishing services to all properties and sites both domestic and commercial throughout London, Surrey & South East. Also known as polished cement flooring, this type of floor is the perfect solution for modern living spaces and office dwellings. It has many advantages over other more traditional flooring choices. Its super low maintenance, hard wearing, cost effective and will last a lifetime. Polished concrete gives an appearance of stone, granite or even marble at a fraction of the price. Polished concrete isn’t only cost effective it is also extremely energy efficient when used with underfloor heating thanks to its excellent heat conductivity. 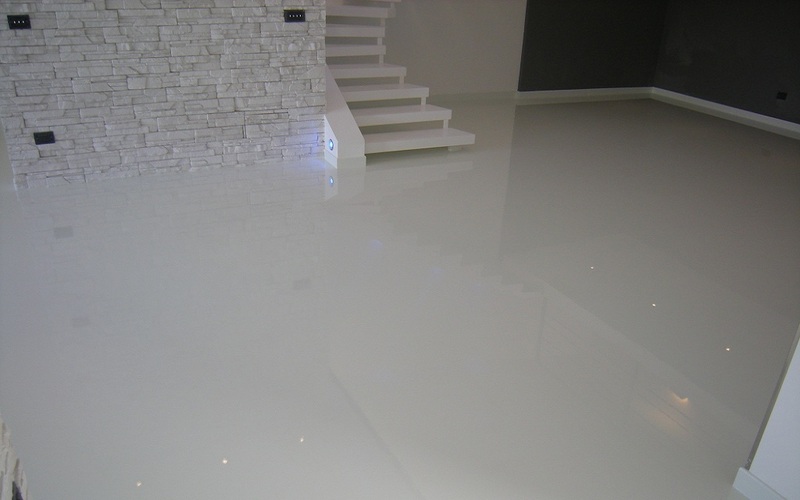 Whether you would like existing concrete floors to be polished or installed we can do it all. Due to it’s unique finish it is fast becoming the most aesthetically desired flooring solution in addition to its low maintenance and high durability. We can polish the majority of concrete hard floors subject to survey. Concrete polished to a variety of sheen levels. 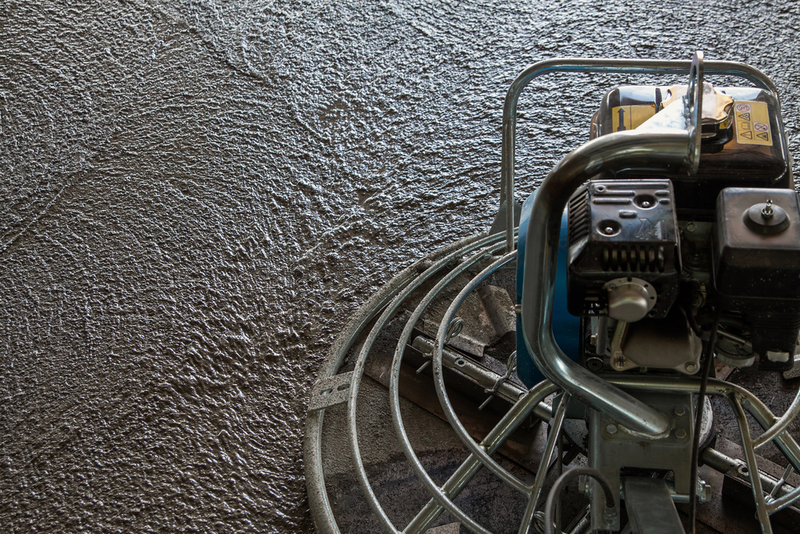 Not only can we install a concrete floor screed for you with polishing, but we can also polish existing concrete flooring. All our liquid flow screeds are underfloor heating compatible and can be installed directly onsite. 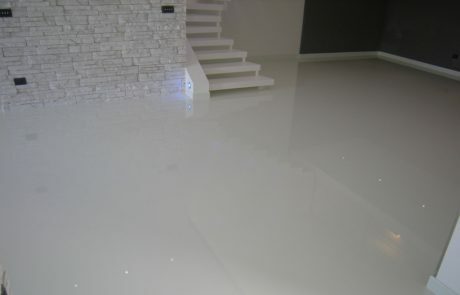 Take a look at our liquid flooring screeds. Have a question or want a price? Please enter your details below to receive a FREE quotation. 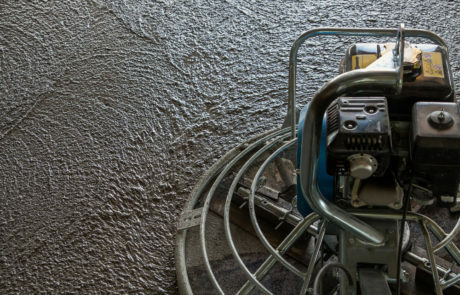 Where Can Polished Concrete Be Used? Creating a seamless link between the different rooms and halls of your home, and even from exterior to interior. 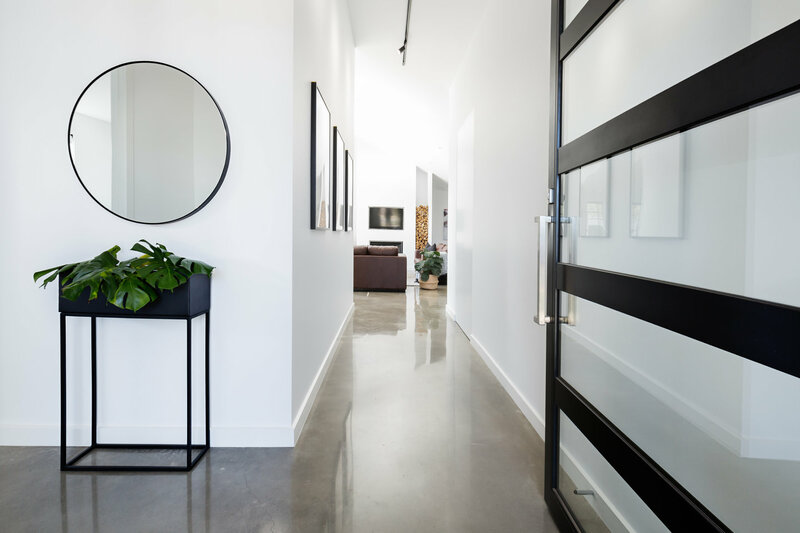 Whether in a residential or commercial setting, polished concrete flooring will hold up extremely well under heavy foot traffic. When it comes to your home, kitchens and basements are the most popular rooms it is installed in, however a this type of floor is infact suitable for anywhere. People often find that they also use less electrical lighting in spaces where polished concrete flooring has been used, due to its highly reflective nature. 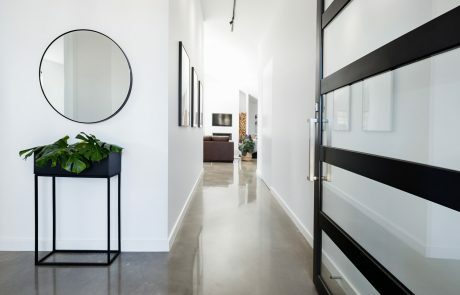 It is these properties that make it ideal flooring for much more than ‘just’ residential properties – stores (no doubt you have seen this throughout IKEA) warehouses and office buildings also make use of polished concrete for these very reasons. Being as hard wearing as it is, we can even do polished concrete patios. 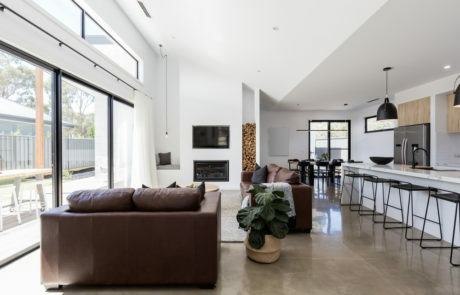 Is a polished concrete floor expensive? Absolutely not, the price of having your floors in polished concrete is around the same if not cheaper than having tiling. This is why more and more households and business’s are having this type of floor installed. There a number of polished concrete floor finishes to choose from. This include: Salt & pepper, Matt finish, Mid sheen, High Gloss (mirror like finish). In addition non-slip, colour tints and stain protection can be added. Innovative Design, choice of finishes. 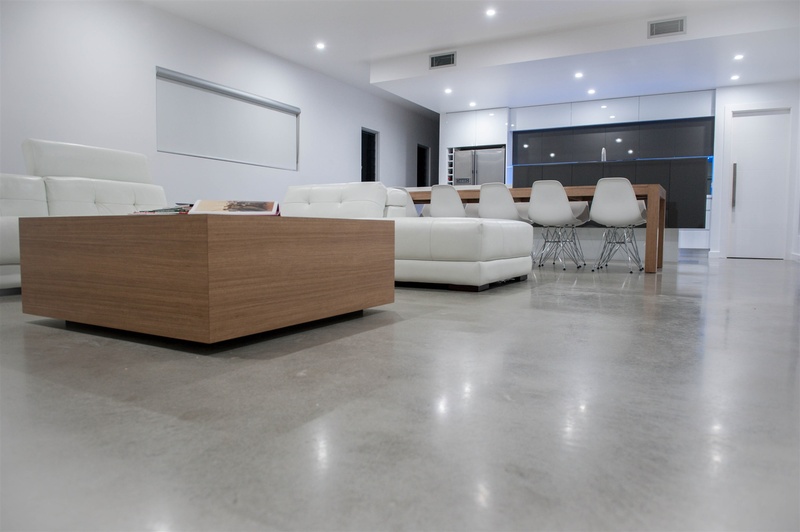 Durability, expect polished concrete flooring to last well throughout someones lifetime. Value for Money, believe it or not polished concrete can actually work out cheaper than tiling per square meter. We will NOT BE BEATEN ON PRICE. Underfloor Heating compatible, our polished concrete is complementary to all under floor heating options.